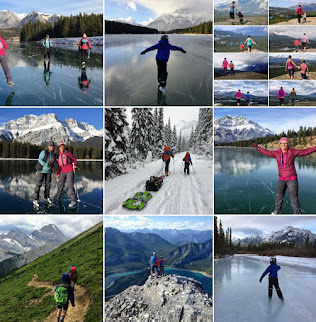 I've been writing about Waterton Lakes National Park for three years now and it seems like I always have a new photo to share, a new family-friendly activity to promote, or something awesome I want to tell you all about. This year is no different. 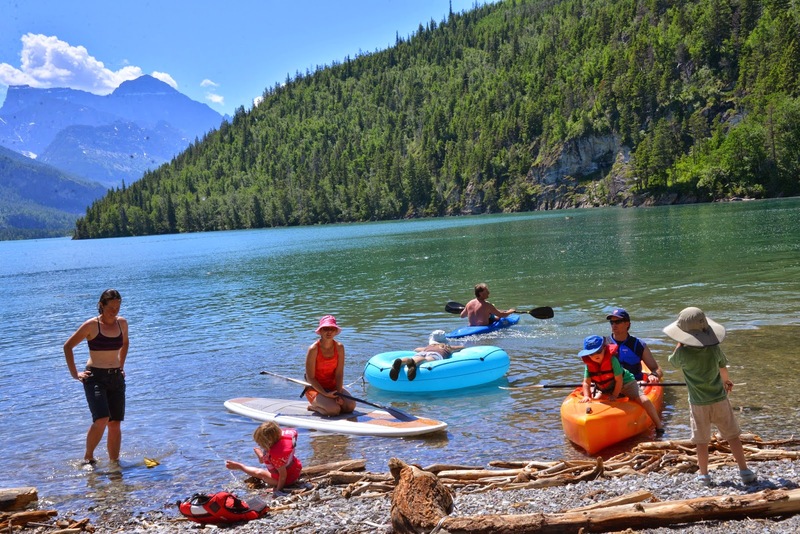 I just wrote a story last week about paddling in Waterton Lakes National Park but there is so much more to do beyond boating - and I know that the majority of families to visit the park will likely not be spending too much time on the glacial cold water. We always take a trip out to hike and play in the Red Rock Canyon. If you get an early start you'll avoid the worst of the tourist traffic and you'll often see bears along the road on the Red Rock Canyon Parkway while driving out. Hike later in the season if you really want to play in the canyon when the water isn't as deep. And wear good waterproof sandals with grip (Keen Sandals for example are the awesome.) For more photos of hiking in the canyon, read the story I wrote last year: Camping in Waterton Lakes National Park. Cameron and Emerald Bay are both protected areas popular with families wanting to swim or play around in the glacial cold water of Upper Waterton Lake in town. Despite the water temperature, you will always see lots of people playing around in it. For more on paddling and playing in the Waterton Lakes, read my story on Paddling in Waterton Lakes National Park. Fact, all kids love to play in rivers. And the Waterton River has an easy access point at the Hay Barn Day Use area just outside of town. Bring a picnic lunch and head out there for the day to get away from crowds in town. The Waterton Lakes can get very windy and extreme caution is required when paddling on them. Cameron Lake however is a safer bet for families and you can even rent a canoe or paddle boat here. Head out to Cameron Lake along the Akamina Parkway for the day and if you're lucky you'll see a bear on your drive out. Last time we were at the lake we saw a bear right in the parking lot too! For more photos of paddling on Cameron Lake, read my recent story, Paddling in Waterton Lakes National Park. This beautiful lake is reached from the Crandell Campground and the hike is 4km return. It can also be reached via a trailhead on the Akamina Parkway and then it is 2.4km return. Both ways are scenic and an easy hike for young children. With a car shuttle you could do the hike one-way starting from the Parkway for less height gain. We did the hike for the first time this year and we would happily do it again. We might even camp here in the future at the backcountry campground. For more information on hiking in Waterton, visit the Waterton Lakes NP Website. This is a classic hike in Waterton and gives you the best views of the park in a short family-friendly distance. It is 2.8km return with 200 metres of height gain. The trail is quite steep so I recommend starting early in the morning when it's cooler outside. You'll also have better luck at finding a parking space in the small lot outside the visitor centre as well if you go early. For more information on hiking in the park, visit the Waterton Lakes NP website. We always camp at the Waterton Springs Campground and this hike is a summer highlight every year for us. You can do the hike as well even if you are not camping here. And it's often windy so bring a kite with you. For more photos of this hike, view the story I wrote last year: Camping in Waterton Lakes National Park. 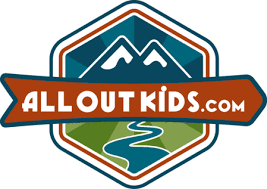 The Kootenai Brown Trail is the only paved bike trail in Waterton so it's the ideal choice for families who want to do a short bike tour through this beautiful park. The bike path starts at the park gates outside the Waterton townsite and parking can be found at the closest day use area to the gates. From there, it's a 6.9km ride to the edge of town near the Waterton Lakes Info. Centre and Prince of Whales Hotel. Either bike the trail out and back or send an adult back for the vehicle while you play near the boat dock on Middle Waterton Lake. The trail is hilly and children may have to walk some of the bigger hills. Other than that, it's an easy ride and you are well separated from the nearby highway. To continue past the end of the trail into town just follow the big hill down past the Visitor Info Centre and bike on the sidewalk if riding with kids. The sidewalk is narrow though so you may have to walk your bikes if it is busy with pedestrian traffic. For more information on biking in Waterton, visit the Waterton Lakes NP Website. The Townsite trail is a 3.2km loop with little elevation gain to speak of. Much of the loop parallels the Upper Waterton Lakeshore and it's easy to take a quick detour on main street for ice-cream. Watch out for pedestrian traffic but other than that, bike trails don't get easier than this. This trail is lovely for a walk after dinner as well if staying in town and children will enjoy playing in the cold lake. Waterton is one of the few mountain towns I can think of that has a splash park. Maybe the only one in a National Park. It sits beside an awesome playground and on a hot day the kids will likely be happier here than on any of the hiking trails in the area. 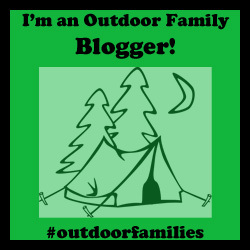 For more fun suggestions for things to do and see in Waterton, check out a previous story I wrote called Family Fun in Waterton Lakes National Park. There is always something awesome to do in Waterton and you could stay a week without running out of places to visit. We still find new things to do every year we visit. Would 5 nights be too long to stay? Have you Ever stayed at the Glacier Suites? We have the option of end of July or mid August, would there be a benefit to either? No, 5 nights would not be too long. Yes, we have stayed at the Glacier Suites I think. It was sufficient for accommodations. Usually when we go in summer we camp, so I don't really have experience with summer hotels. We stayed there in winter once in a hotel. Either time would be fine. My only suggestion is to check on which trails will be open. Things are still recovering from a bad forest fire in the summer of 2017. Many parts of the park were closed last summer.